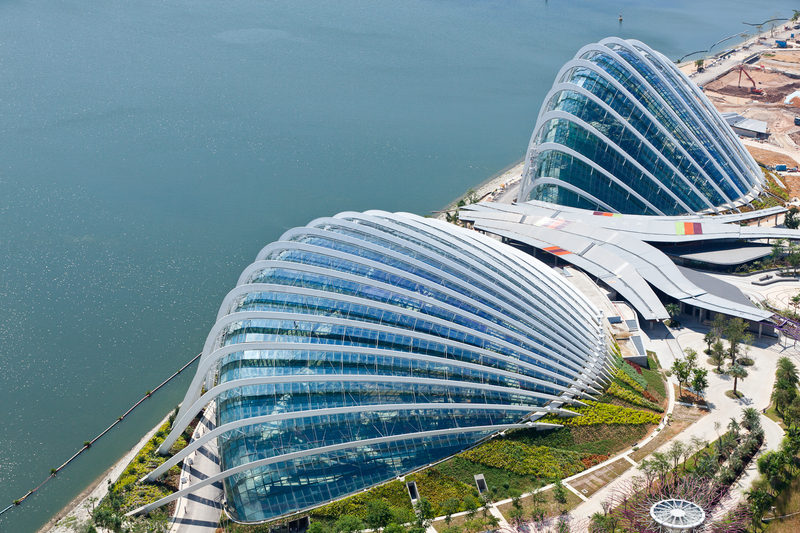 Gardens by the Bay is one of the largest garden projects of its kind in the world. 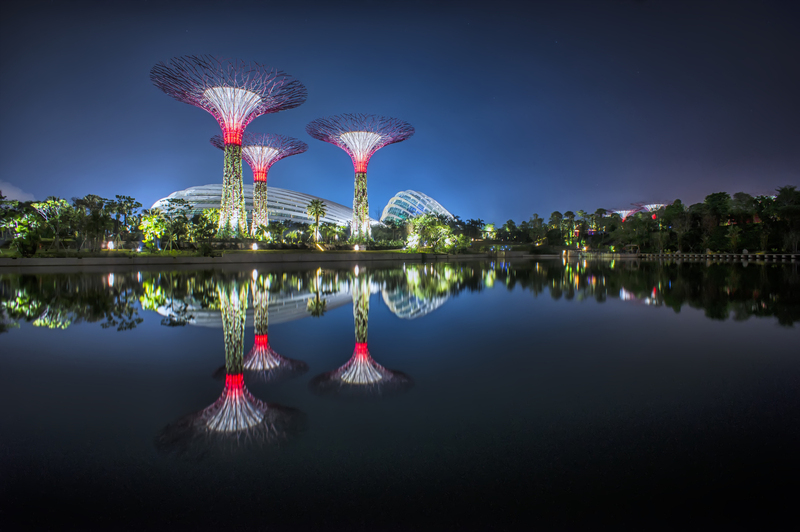 Ultimately, the site will total 101 hectares comprising three distinct gardens – Bay South, Bay East and Bay Central. 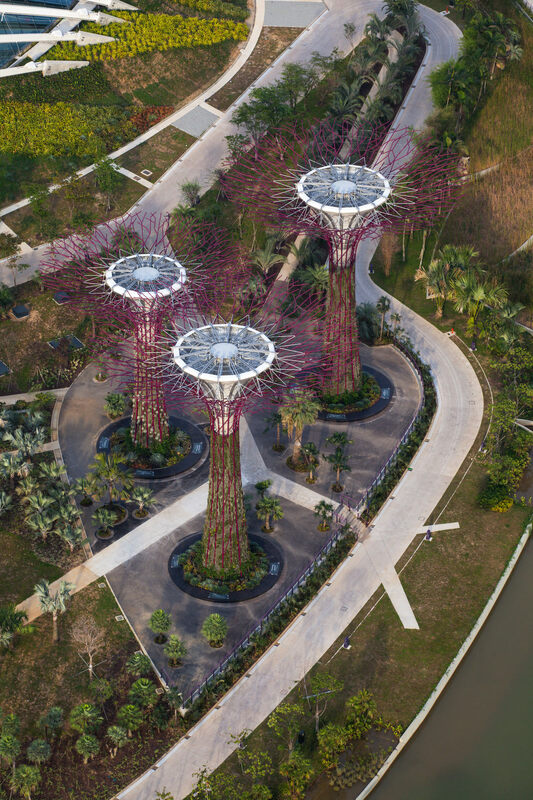 Located on reclaimed land in Singapore’s new downtown at Marina Bay, the site will provide a unique leisure destination for local and international visitors. Among the project’s highlights is a pair of carbon neutral conservatories – one of which is the largest climate controlled greenhouse in the world. Designed by Wilkinson Eyre, the Flower Dome and Cloud Forest make use of passive and active sustainable technologies to create the perfect micro climate for exotic plants to grow.